Needs climb the 217 steps of the tower of what is commonly referred to as “Il Duomo” St. Martin’s Cathedral, the Cathedral of the city, to see from above the roofs of the houses, romanesque churches, the sixteenth-century walls of Lucca. The bell tower of the Cathedral, is added to towers to the Guinigi Tower (Torre Guinigi) and the Clock’s Tower (Torre delle Ore) – as a beautiful point for views over the city. From above, you can still see the system of streets, perpendicular streets and portions of the walls are remnants of the ancient Roman urban infrastructure of the ancient Roman colony. You can also see the oval of the ancient amphitheater where in the middle ages were built the homes of what is now Amphitheatre Square (Piazza Anfiteatro). Such is the case along via Fillungo, the lively business and commercial centre, full of medieval elements, as the baroque garden of Palazzo Pfanner, spectacular theatre where in 1996 were filmed some scenes of the movie “Portrait of a Lady”, with Nicole Kidman and John Malkovich. The walls of the city, among the best preserved in Europe, the walls realize an unusual circular park, where walking, running and cycling up 12 meters high on the ground level of the city. From Elisa Bonaparte, daughter of Napoleone Bonaparte, was the transformation of the walls in the tree-lined promenade, following the Parisian model. 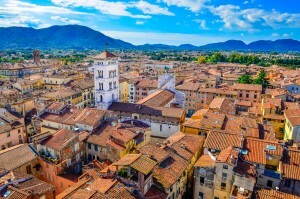 The elegance of Lucca’s architectural civilization is refracted in the countryside surrounding the city, dotted with villas from the Renaissance and Baroque eras: true works ofart conceived as summer residences of th e wealthy Lucchese. 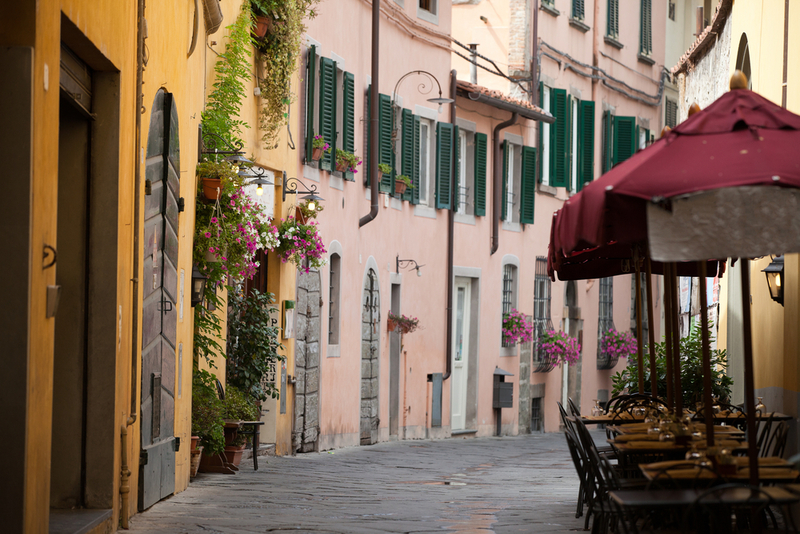 Also is very easy and it’s a real life experience visit Lucca by bike. The historic centre is close to regular traffic so it’s very nice rent a bike and ride inside the narrow streets or up on the walls. Times: Cattedrale: 9:30- 18, saturday. 9.30-18.45, Sunday 9-10 and 11.45-18. 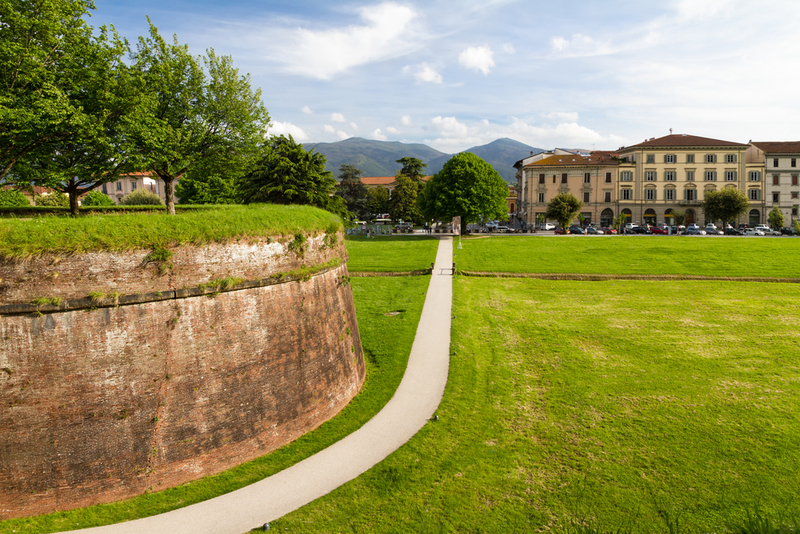 Our Private Day Tour in Lucca from Livorno or our Private Shore Excursion in Lucca From La Spezia are an exclusive way to discover all the beauties of this town with an expert local guide, that will allow you to fully enjoy this tuscan town and make your visit really unforgettable.